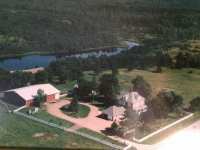 PRIVATE ESTATE ON 61 WOODED ACRES WITH 1500+ FEET OF FRONTAGE ON THE HISTORIC WISCONSIN RIVER. A DISTINCTIVE PROPERTY WITH BREATHTAKING SUNSETS AND WILDLIFE WHICH WORDS . 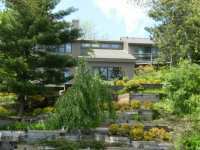 . .
WITH AN INCREDIBLE VIEW OF LAKE PETENWELL, THIS BEAUTIFUL ESTATE IS EQUALLY CAPABLE OF BEING A TRANQUIL RETREAT, LAKESIDE BED AND BREAKFAST OR THE HOME THAT FULFILLS ALL . . . HERE IS A HUNTER'S PARADISE WAITING FOR NEW OWNERS. SIX PARCELS TOTALING 242 ACRES THAT HAVE 7 MILES OF DEVELOPED TRAILS (DRIVABLE DIRT ROADS), 6 CUSTOM-BUILT DEER . . .
SERENITY AND PRIVACY ABOUND IN THIS EXECUTIVE FAMILY HOME. BEAUTIFUL SUNRISES FROM EVERY WINDOW! 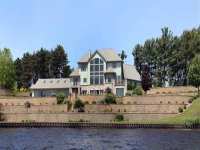 ARCHITECTURALLY DESIGNED, CUSTOM BUILT ONE-OWNER SMART HOME ON WATER. . . .
157 ACRES LOCATED IN THE TOWN OF STETTIN, WITH A 26 ACRE LAKE AND APPROXIMATELY 1.5 MILES OF RIVER FRONTAGE, ON THE BIG AND LITTLE RIB RIVERS. THE BIG RIB RIVER IS . . . 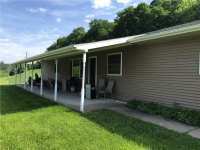 HERE IS AN OPPORTUNITY TO PURCHASE A TURNKEY HUNTING PROPERTY. THIS ACREAGE IS ON A DEAD END ROAD . . . 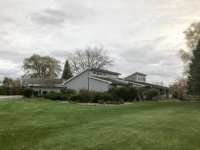 BEAUTIFULLY DESIGNED, CUSTOM BUILT, ONE-OWNER “RIVERCREST” PROPERTY WITH 189 FEET OF WISCONSIN RIVER FRONTAGE, 40X64 OUTBUILDING WITH HEATED SHOP, AND OVER 5,000 . . .
OVER 1600 SQ FT. MOL WATER FRONT ON THE WISCONSIN RIVER. PARK LIKE SETTING, BREATH TAKING VIEWS. BETWEEN WISCONSIN RAPIDS AND STEVENS POINT. LOCATED ON OLE RIVER ROAD. . . . EXPERIENCE THE CALL OF THE WILD ON THIS 280 ACRE RECREATION PARADISE. 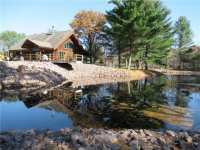 ENJOY DEER, BEAR, POTENTIAL ELK, SMALL GAME AND A PLETHORA OF WATERFOWL AS YOU SET UP CAMP ABOUT A . . . 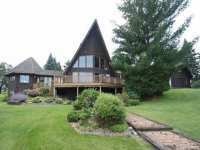 CHECK OUT THIS EXQUISITE LAKEFRONT HOME WITH 4773 FINISHED SQUARE FEET NESTLED ON ONE OF THE BEST LOTS ON LAKE WAUSAU WITH A GRADUAL SLOPE TO THE WATER'S EDGE. THE . . .
MAKE YOUR DREAM A REALITY IN THIS MASTERFULLY DESIGNED LUXURY HOME TUCKED AWAY ON 17 ROLLING ACRES WITH APPROX. 1000 FT OF FRONTAGE ON THE PRISTINE TOMORROW RIVER. . . . THE VIEW OF THE WISCONSIN RIVER IS SIMPLY GORGEOUS! 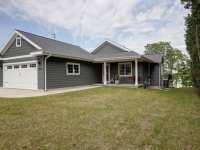 THIS NEWLY REMODELED 4 BEDROOM, 3 BATH RANCH HOME OFFERS OVER 4000 FINISHED SQUARE FEET OF LIVING SPACE, ALL ON ONE . 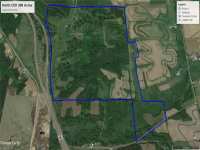 . .
82 ACRES IN BUFFALO COUNTY NEAR CREAM & PRAAG ON A DEAD END ROAD. OVER 1/2 DOZEN 9 & 10 POINTERS THAT ARE STILL ALIVE FOR NEXT YEAR. 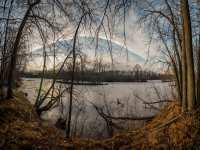 PROPERTY IS SET UP FOR HUNTING WITH . . . 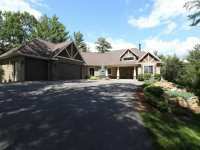 INCREDIBLE HOME ON LAKE WAUSAU – BEST LOTS ON THE LAKE WITH SUNSETS AND SAND VOLLEYBALL COURT. OVER 200 FEET OF WATER FRONTAGE! OVER 6000 SQUARE FEET OF BEAUTY! NEW . 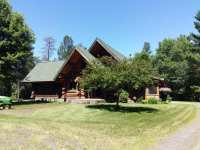 . .
QUALITY CRAFTSMANSHIP ABOUNDS IN THIS EXCEPTIONAL, QUALITY GOLDEN EAGLE LOG HOME ON EVER POPULAR LAKE DUBAY. YOU WILL ENJOY THE WARMTH AND CHARACTER OF THIS UNIQUE HOME . . .
OPEN CONCEPT, PRIVATE WATERFRONT, AND CATHEDRAL CEILINGS ARE JUST A FEW QUALITIES THAT MAKE THIS AN EXQUISITE HOME. 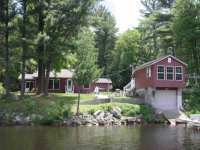 THIS LAKE DUBAY PROPERTY OFFERS A SANDY BEACH, . . .
HAND SCRIBED LOG HOME NESTLED ALONG ROBINSON CREEK.OWNER OWNED PROPERTY 17 YRS THEN BUILT DREAM HOME! 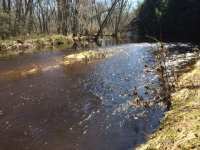 PRISTINE AREA BORDERED ON THREE SIDES BY COUNTY LAND, ATV TRAILS TO . 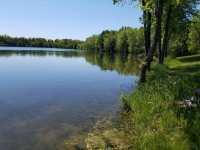 . .
PRIME COMMERCIAL LOT AVAILABLE IN THE PARKDALE DEVELOPMENT AROUND A PRIVATE POND. LOTS CAN BE SPLIT. EAUTIFULLY LANDSCAPED 3 LEVEL WATERFRONT HOME WITH BOATHOUSE. 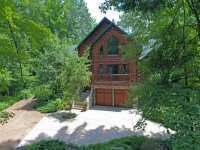 HOME FEATURES 2 THREE SEASON PORCHES OPEN DECK AND PATIO, 3 FIREPLACES, SAUNA, WET BAR, 4 BEDROOMS, 3.5 . . . 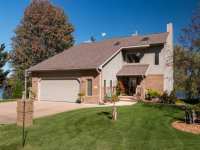 EXQUISITE HOME ON LAKE WAUSAU! CUSTOM BUILT IN 2000, THIS HOME HAS FOUR BEDROOMS, THREE AND A HALF BATHS, AND 3532 SQUARE FEET OF LIVING SPACE. TASTEFULLY DECORATED . . . 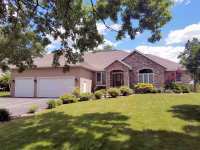 EXPERIENCE THE EXCITEMENT OF LAKE WAUSAU IN THIS BEAUTIFUL HOME! BEGIN YOUR DAY SITTING ON THE DECK WATCHING A GORGEOUS SUNRISE OVER THE LAKE. YOU WILL LOVE BEING IN . 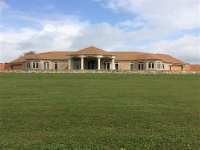 . .
84 ACRE COUNTRY ESTATE. QUAINT COUNTRY HOME DESCRIBES THIS STORYBOOK SETTING. DISCREETLY LOCATED AT . . . VERY RARE SUNSET LAKE LISTING. 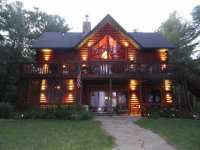 AMAZING OPPORTUNITY TO OWN A STUNNING LOG SIDED HOME ON ONE OF THE MOST BEAUTIFUL CENTRAL WISCONSIN LAKES YOU CAN FIND. INTERIOR HAS . . . 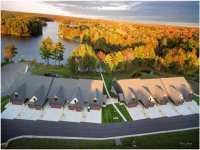 STUNNING NEW CONSTRUCTION CONDOMINIUMS ON BEAUTIFUL LAKE DUBAY. THE MOST DISTINCTIVE DEVELOPMENT CENTRAL WI HAS SEEN, THESE CONDOMINIUMS ARE LARGE, QUALITY BUILT UNITS . . . BRAND NEW HOME: ARCHITECTURALLY DESIGNED BY TOM FONTANA AND CUSTOM BUILT BY KEN WANTA - PRECISION HOMES. 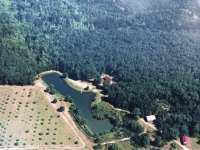 EXECUTIVE RANCH WITH WALK-OUT LOWER LEVEL TO BEAUTIFUL WATER . . . 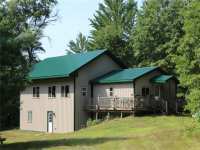 THE WISCONSIN RIVER MEETS THIS CUSTOM GREEN BUILT CONTEMPORARY 2 STORY ON A MATURELY FORESTED 45 ACRES. FIRST TIME ON THE MARKET. 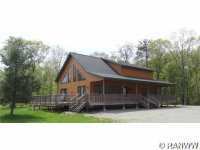 ABSOLUTELY STUNNING TWO STORY WITH OVER 470 FEET OF FRONTAGE ON THE EAU PLEINE FLOWAGE. EVERYTHING YOU COULD WANT IN YOUR NEXT HOME. BEAUTIFUL, . . . EXTRAORDINARY EQUESTRIAN PROPERTY ON 20 PLUS ACRES! 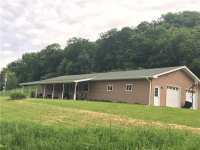 INCLUDES TWO HOMES, 8 PADDOCK HORSE BARN, 4 HORSE SHELTERS AND MILES OF FENCING. MAIN HOME BOASTS OVER 7,000 SQUARE . . . IF YOU ARE LOOKING FOR A SECLUDED PARADISE, YOU FOUND IT! 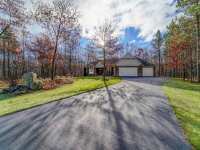 THIS 160 ACRE WOODED WONDERLAND OFFERS WELL OVER A MILE OF ROBINSON CREEK FRONTAGE. DRIVEWAY ACCESS LEADS ONE . . .
40 ACRES IN BUFFALO COUNTY NEAR CREAM & PRAAG ON A DEAD END ROAD. OVER 1/2 DOZEN 9 & 10 POINTERS THAT ARE STILL ALIVE FOR NEXT YEAR. 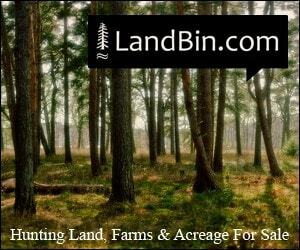 PROPERTY IS SET UP FOR HUNTING WITH . . . WELCOME TO YOUR STUNNING, CRAFTSMAN STYLE 2008 PARADE HOME BY KEENER, INC; SITUATED ON 2 PRIVATE, WOODED ACRES, THIS HOME OFFERS ACCESS TO THE WISCONSIN RIVER. THIS 3 . . . 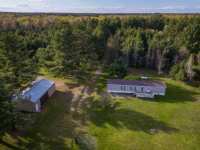 ENDLESS POSSIBILITIES FOR THE CHARMING TURN OF THE CENTURY PROPERTY SITUATED ON 38 GLORIOUS ACRES WITH AN ENORMOUS POND. 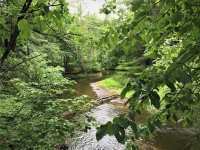 IMAGINE YOURSELF SIPPING MINT JULEP OR A . . .
PREMIER HUNTING LAND ON THE TRAPPE RIVER! THIS PROPERTY OFFERS THE DIVERSITY OF RIVER BOTTOM, BI-SECTED BY A STREAM LEADING DOWN TO THE RIVER IN HEAVY THERMAL COVER. . . .
BEAUTIFUL LAKE ARBUTUS HOME ON 2.75 PRIVATE ACRES AND 190 FT OF WATER FRONTAGE. COMPLETELY REMODELED AND UPDATED WITH TONS OF OUTSIDE STORAGE, SIX PLUS GARAGE SPACES AND . . .
GRACE, STYLE AND ELEGANCE BEST DESCRIBE THIS 2-STORY IN WESTON'S POPULAR RIVER PARK SUBDIVISION! FORMER PARADE HOME BUILT BY VOIGT CONTRACTING WITH 3 LEVELS, FINISHED . . .
COUNTRY ROADS LEAD YOU HOME TO 73+ ACRES OF RURAL PARADISE. 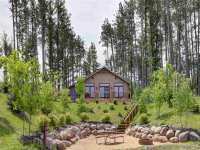 ENJOY A PANORAMIC VIEW OF THE COUNTRYSIDE FROM THIS 2 BED 2 BATH LOG HOME OVERLOOKING YOUR OWN PRIVATE 1.5 . . . 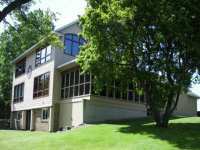 CUSTOM CREATED ONE OWNER HOME WITH OVER 400 FT OF EAU CLAIRE RIVER FRONTAGE. 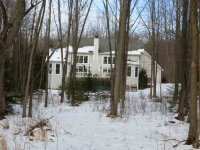 3.39 WOODED ACRES FOR PRIVACY. 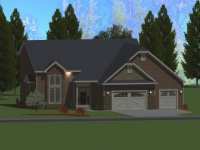 OVER 3800 SQ FT, 5 BEDROOMS, 3.5 BATHS, SPACIOUS 14X12 . . . BRAND NEW WATERFRONT AND WATER ACCESS SUBDIVISION! 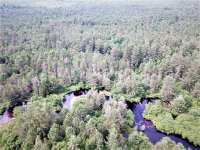 LOCATED ON THE WEST BANK OF THE WISCONSIN RIVER ON THE STEVENS POINT FLOWAGE. THE DEVELOPMENT IS CONVENIENTLY LOCATED . . . 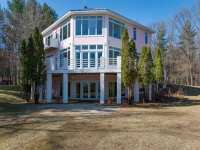 CHECK OUT THE SLICE OF PARADISE, "SERENE 7.25 ACRE WATERFRONT SETTING" PEACE, QUIET AND PRIVACY AWAITS YOU WITH THIS CUSTOM BUILT, ONE OWNER HOME. THIS EXECUTIVE 3 BED . . .
STUNNING,METICULOUS AND PRIVATE. THIS 3 BEDROOM PLUS HOME SITS ON 8+ ACRES, AND NO MONEY HAS BEEN . 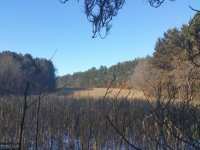 . .
APPX 105 ACRES OF BEAUTIFUL WOODLAND &AMP; TILLABLE ALONG THE SCENIC GREAT RIVER RD (HWY 35) IN GORGEOUS BUFFALO COUNTY WI. HUNT 160+ CLASS WHITETAIL BUCKS IN ONE OF . . . THIS FANTASTIC HOME IS NESTLED INTO THE BLUFFS ON A RENOVATED TURN OF THE CENTURY FARM SITE JUST OUTSIDE ALMA, WISCONSIN. THE LAVISH AMENITIES AND FURNISHING OF THE HOME . . . 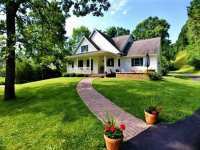 SITTING ON 80 ACRES WITH ROCK CREEK FLOWING THROUGH THE PROPERTY, THIS 4 BED-1.5 BATH HOME HAS THE ULTIMATE PRIVACY AND SECLUSION YOU ARE LOOKING FOR. SELLERS USED HOME . . .
SOMETHING SPECIAL! HALLS CREEK IS FULL OF SMALL MOUTH BASS. IT HAS A FEW TROUT, WALLEYE AND NORTHERN. WILDLIFE ABOUND, WITH DEER, BEAR, MANY TURKEYS AND OCCASIONAL ELK. . . . 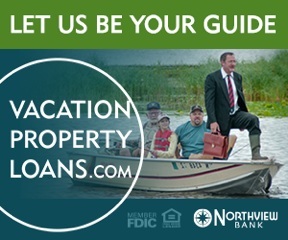 THIS IS A "VACATION" OR A YEAR ROUND PROPERTY! 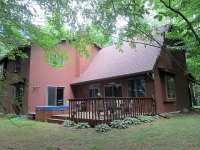 PRACTICALLY MAINTENANCE FREE, CEMENT BOARD SIDING, COMPOSITE DECKING, GAS FIREPLACE, STAINLESS APPLIANCES, SOME WOOD . 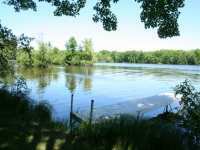 . .
LIVE IN A PARK LIKE SETTING OF .6 ACRES ON THE BEAUTIFUL WI RIVER AND LAKE DUBAY! 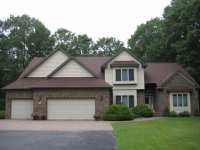 THIS 3 BEDROOM, 2 ½ BATH, 2 CAR INSULATED GARAGE HAS BEAUTIFUL HARDWOOD FLOORS, . . . ENJOY THE GREAT OUTDOORS IN EVERY SEASON AND FOR ANY REASON. EXCELLENT HUNTING FOR DEER, DUCKS, TURKEY AND MORE. EXPERIENCE THE SIGHTS AND SOUNDS OF NATURE IN EVERY . 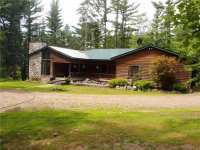 . .
"ABSOLUTELY FABULOUS" NEED WE SAY MORE ABOUT THIS 4 BEDROOM, 3 BATH LOG HOME RESTING ON 3.49 SECLUDED WOODED ACRES. SEE THE PANORAMIC VIEW OF 800 FEET OF LEVIS CREEK . . .
LakePlace.com participates in Central Wisconsin Association of Realtors Broker Reciprocity (sm) program, allowing us to display other broker's listings on our website. Information Deemed reliable but not guaranteed. Information is being provided for consumer's personal, non-commercial use. Data relating to real estate for sale on this website comes in part from the IDX program of the NW WI MLS. Information provided by NW WI MLS is compiled from 3rd party source. Information deemed reliable, not guaranteed. 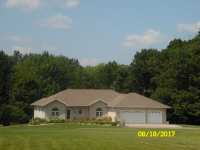 Neither NW WI MLS, the listing broker or its agents or subagents are responsible for its accuracy. 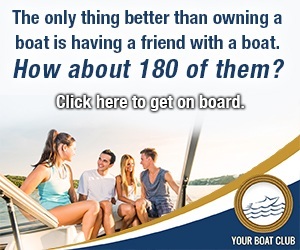 This information is provided exclusively for consumers' personal, non-commercial use and may not be used for any purpose other than to identify prospective properties consumers may be interested in purchasing. Sold price is derived from the transfer tax shown on the deed and other factors may influence the actual sale price. 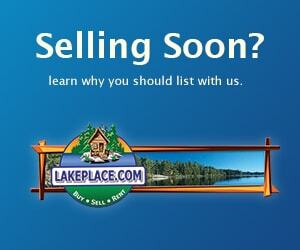 LakePlace.com participates in Regional Multiple Listing Service of Minnesota, Inc. Broker Reciprocity (sm) program, allowing us to display other broker's listings on our website. Information Deemed reliable but not guaranteed. Information is being provided for consumer's personal, non-commercial use. ©2019 LakePlace.com. All information should be verified. 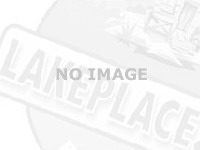 LakePlace.com shall not be responsible or liable for any typographical errors, mapping errors, misinformation, or misprints. All properties are subject to prior sale, change or withdrawal. 6 Listings in Alma WI ..
3 Listings in Amherst WI ..
2 Listings in Amherst Junction WI ..
21 Listings in Blackriverfalls WI ..
1 Listings in Edgar WI ..
8 Listings in Fountain City WI ..
1 Listings in Galloway WI ..
4 Listings in Hatfield WI ..
3 Listings in Hixton WI ..
12 Listings in Junction City WI ..
7 Listings in Melrose WI ..
11 Listings in Merrillan WI ..
19 Listings in Mosinee WI ..
44 Listings in Neillsville WI ..
9 Listings in Nekoosa WI ..
1 Listings in Pigeonfalls WI ..
3 Listings in Pittsville WI ..
8 Listings in Ringle WI ..
14 Listings in Stevens Point WI ..
29 Listings in Wausau WI ..
9 Listings in Weston WI ..
29 Listings in Wisconsin Rapids WI ..
LakePlace.com shall not be responsible or liable for any typographical errors, mapping errors, misinformation, or misprints.